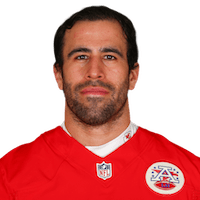 Amaro has been released by the Chiefs. Analysis: Amaro's disappointing tenure in the NFL continues on. The 2014 second-rounder will now return to the free-agent market in hopes of landing a new deal elsewhere. 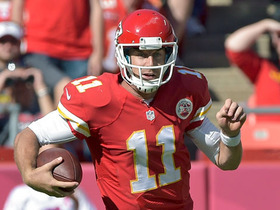 Amaro signed a reserve/future deal with the Chiefs on Tuesday, Adam Caplan of SiriusXM Radio reports. Analysis: Amaro spent training camp with the Titans, but ultimately failed to make the team during final roster cuts. He later landed on the Chiefs' practice squad, and will now have an opportunity to impress during the offseason. 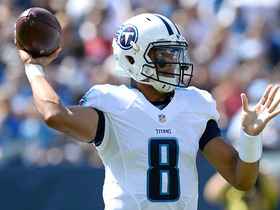 Tennessee Titans QB Marcus Mariota connects with tight end Jace Amaro for 26 yards. 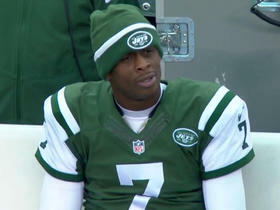 New York Jets quarterback Geno Smith intercepted by New England Patriots linebacker Jamie Collins. 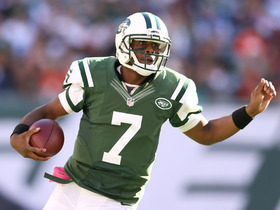 New York Jets quarterback Michael Vick throws a 5-yard touchdown pass to tight end Jace Amaro. New York Jets quarterback Michael Vick was an integral part in getting the team their first win in eight games throwing for 132 yards and two touchdowns on 10 of 18 passes and rushing for 39 yards on eight carries. NFL Fantasy Live's Michael Fabiano trots around with Akbar Gbajabiamila to the doorsteps of the fantasy waiver wire candy givers in search of player candies that he would like to keep in his halloween basket. Need replacements for fantasy players on their bye in Week 9? 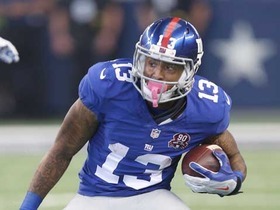 The "NFL Fantasy Live" crew takes a look at some spot starts to pick up. Still looking for some help on your fantasy team? 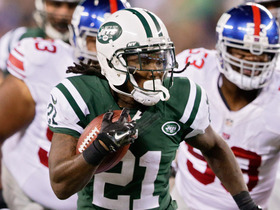 The "NFL Fantasy Live" crew breaks down some waiver-wire players to target for Week 9. The "Around the NFL" Podcast crew previews the AFC East clash between the struggling New York Jets and the New England Patriots who are coming off of two straight wins. Check out some of the best highlights from the New York Jets so far this season as they get ready to take on the New England Patriots on Thursday night. 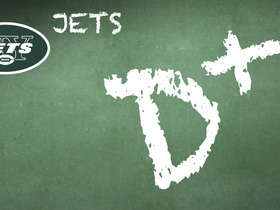 Elliot Harrison joins Marc Istook to hand out his Week 6 report card for the New York Jets.